London Borough of Waltham Forest is a borough located in North East London. It ranks 51st largest of the English districts, with over 270,000 residents. One of the prevailing issues that they were encountering was the amount of illegal dumping (known as fly tipping) which was occurring within the district, which is also a prevalent issue across the United Kingdom, as disposal is heavily regulated, leading to people disposing of large and extra items in public locations. A chatbot developed on several mediums where users with accounts could interact with the bot. This would then send information to the third-party application. Users would also have the ability to opt into successive updates regarding the report. Created a modern responsive website that users navigate to to get a total summary and metrics regarding outstanding and closed fly tips, and the ability to search information regarding specific reports. All reports are represented on a map using Maps API and each datapoint can be selected to view more information. Built a modern cloud-based API in which their third-party application can communicate. This then fed into a database which replicated what was in the third-party application for the website. Created a chatbot using Dialogflow which the user could use free-form text and predefined selectable options (based upon platform-specific implementations). Session management is maintained while the chatbot is communicating with the end user. Upon completion of a series of steps, the user submits the report, and this information is sent to the third-party application, which in return is relayed to the backend database that the website consumes. The chatbot allows for the opting in of subsequent communications for when the report has been updated. Additionally, the chatbot allows for the searching of reports within it. A secondary API was created to communicate from the chatbot (via webhooks to their respective backend clients) which would allow for processing of the user input. A CRON job which allows for deletion of reports that haven’t been modified for 30 or more days, per specification. The solution is live at Waltham Forest's Neighbourhood Portal. These solutions would not have been possible without the power and productivity of Google Cloud. The key technologies leveraged include Kubernetes Engine, Cloud SQL, Stackdriver, Cloud Build, Cloud Storage, Datastore, Dialogflow, and Maps API. Spotify is a popular music streaming service with a worldwide presence, and one of the premier initial customer success stories for Google Cloud. For this engagement, Seed worked with the Spotify marketing team based in New York City. 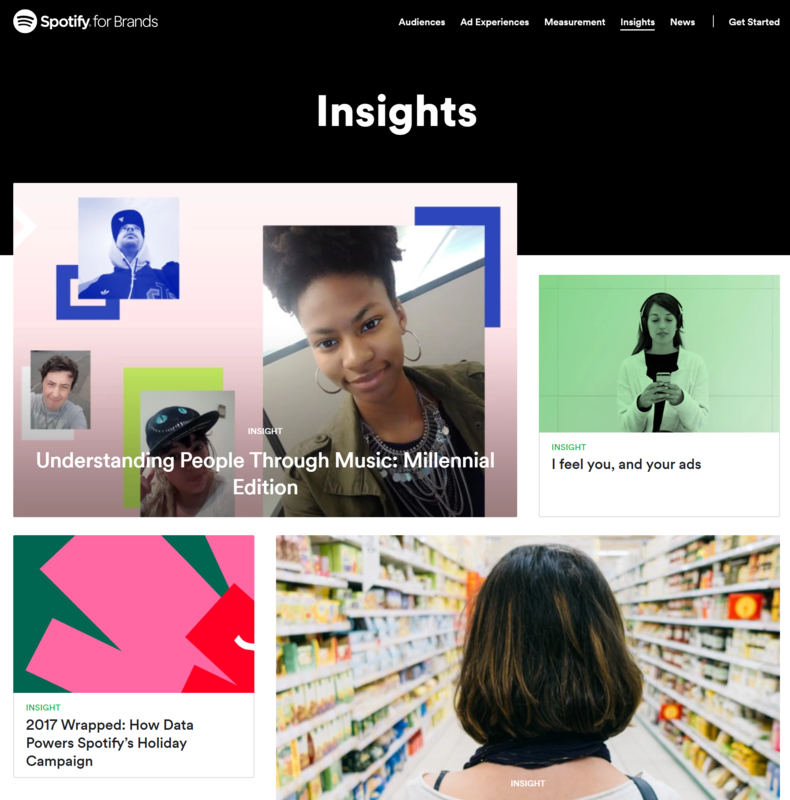 Spotify For Brands is a marketing website that drives the core of the Spotify B2B brand. The marketing team is constantly updating their messaging and running new campaigns, and as a tech-focused company they need a very compelling front-end website presentation. The website was previously run through WordPress with a few extensions installed. However, this quickly grew to be cumbersome because the WordPress backend tools lacked the capability to quickly add the richness and interactivity the team desired. Seed Development is the Google Cloud Partner that worked with Spotify on this initiative. Spotify now manages their content in Contentful, a third party “headless” content management system. This gives them rich flexibility to easily change the underlying models for each of the pages to support new additions, layouts, and interactive modules. Additionally, multiple language support is available, and can modify each language with ease. When they publish the content, webhooks in Contentful trigger a build system set up in Google Cloud that retrieves the content from Contentful, runs a build process to generate static assets for the site, and then serves them for a front-end website. This frees Spotify from worrying about WordPress servers and scaling, and allows the non-technical marketing team to focus less on infrastructure and more on creating compelling content to drive sales. Due to the large potential for incoming traffic, requests needed to be served up via load balancing to handle any spikes that the system may encounter. This solution is live at the Spotify For Brands website. This solution would not have been possible without the power and productivity of Google Cloud. The key technologies leveraged include Compute Engine Virtual Machines, Cloud Storage, HTTP(S) Load Balancing, and Cloud Functions. Address a problem that every artist and digital content creator on the internet has or will experience: Their work is difficult to monetize but very easy to steal. Seed Development helped Monegraph over a 6 month development period leading up to the Sept 2015 launch. 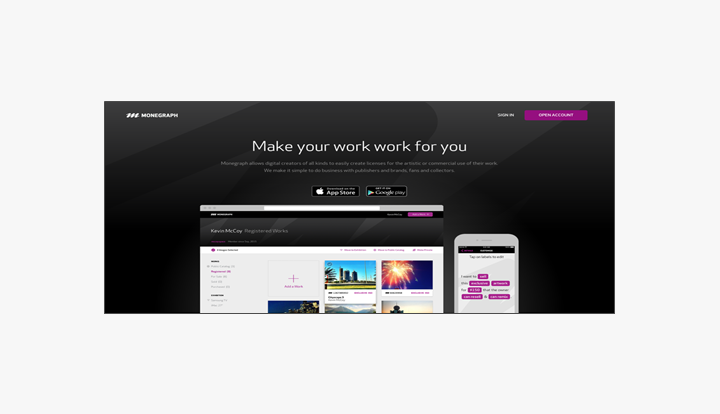 During that time Seed augmented their existing web development and Android teams as well as building a plugin for Adobe Lightroom. Monegraph has officially launched their platform, which easily allows users to choose license options and binds them to the Bitcoin blockchain permanent ledger. Discover TV shows and movies you love with the help of trusted friends and cutting edge A.I. Seed Development advised MightyTV by augmenting their team. 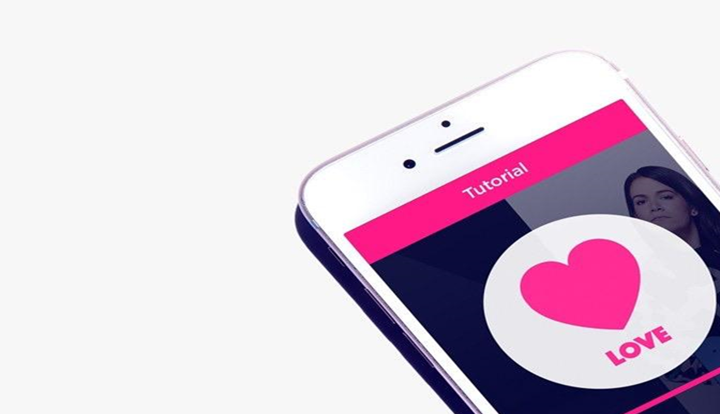 We advised on their machine learning backend, co-developed their iOS app, and built the entire Android version. A Tinder for movies and TV that learns what you like to watch and makes recommendations based on your “Likes” and streaming preferences. After almost a year in production, MightyTV was decommissioned due to acquisition of the company and IP by Spotify.